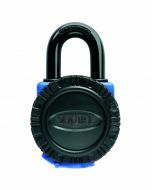 These extremely robust, high specification All Terrain Padlocks have undergone the most severe environmental tests. After being subjected to well over 150 hours of salt spray they still passed and function as they should. The ATL4 and ATL5 locks are available keyed alike.